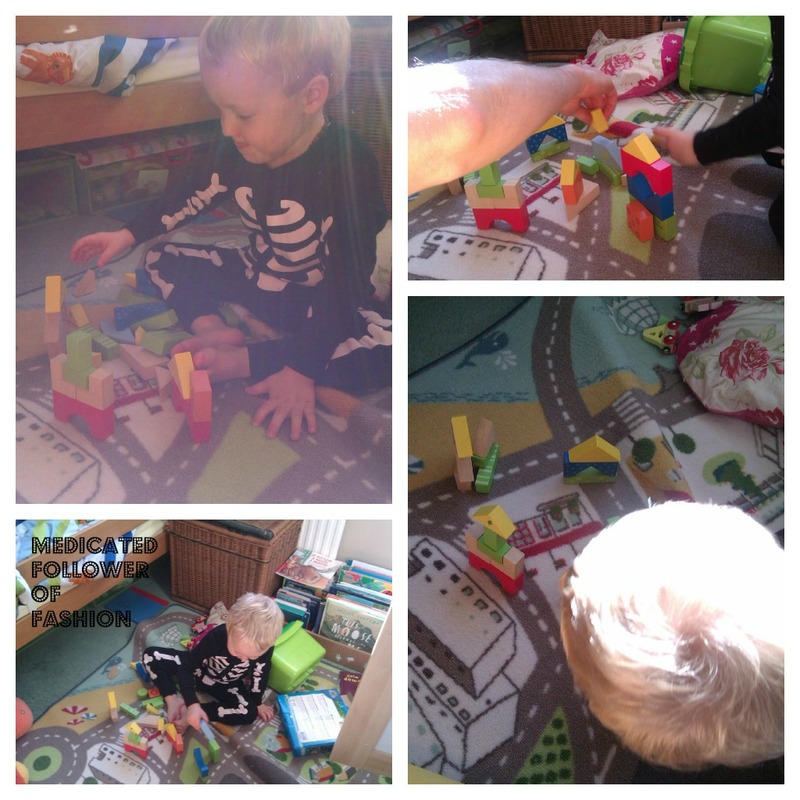 DKL Marketing Ltd very kindly gave Ethan and I some very cool building blocks to review a little while back. They are made by Wonderworld and they are a little more exciting than your average building blocks because.... THEY GLOW IN THE DARK! Oh yes.... you can bet this got Ethan all excited!! I'll admit that Ethan doesn't do as much building with blocks as I thought he would, but when I showed him these Glow Blocks, his interest increased. Since then, he's been getting them out of their box whenever he fancies it and building "little towns" on his car mat for his cars to drive around. Best of all, when they've been exposed to light for a while, we can switch off the lights, close the curtains and enjoy the glow coming from the blocks!! I will say that they do have to be exposed to a decent amount of light before they glow though. These blocks are a pleasure to play with. They are eye-catching, bright and nice and chunky. Easy to hold and build with and the variety of shapes is excellent. We like them at our house! This set of Glow Blocks retails at £19.99 can can be purchased from various places including Amazon and Play Merrily Toys.